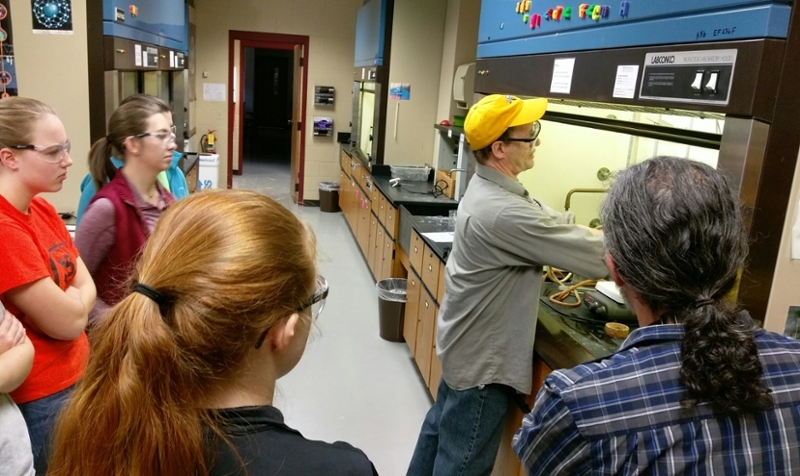 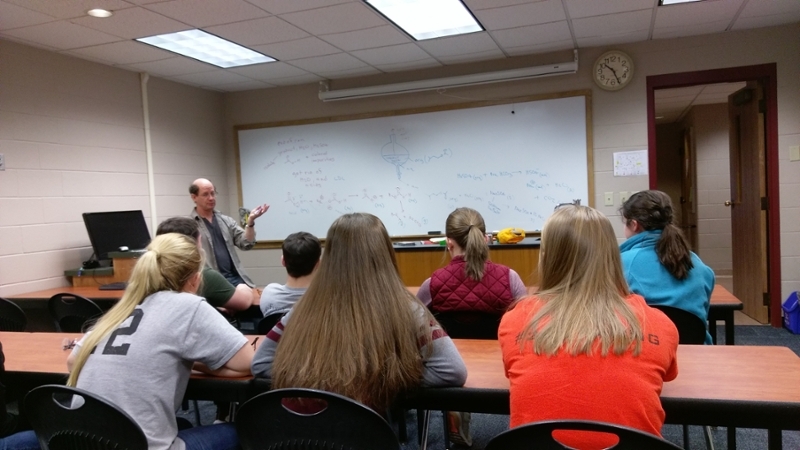 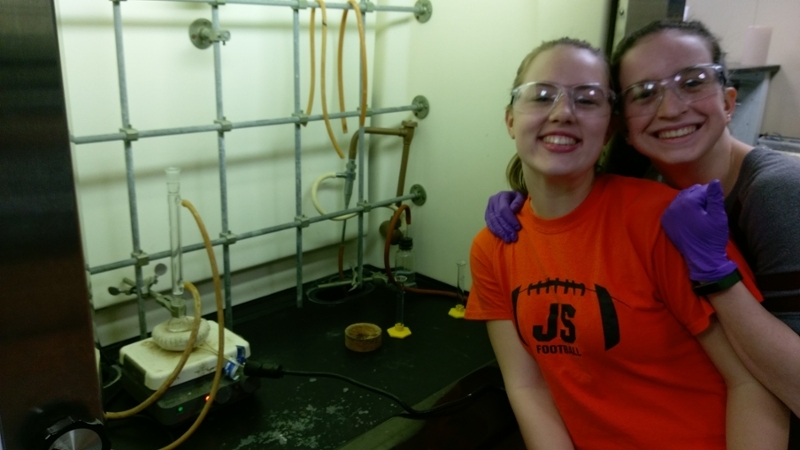 Led by Jersey Shore High School chemistry teachers, Alex Hunter ’09 and William Ferguson, the second-year students had been learning about organic chemistry, but were invited to the Lycoming College campus to put the knowledge into action. 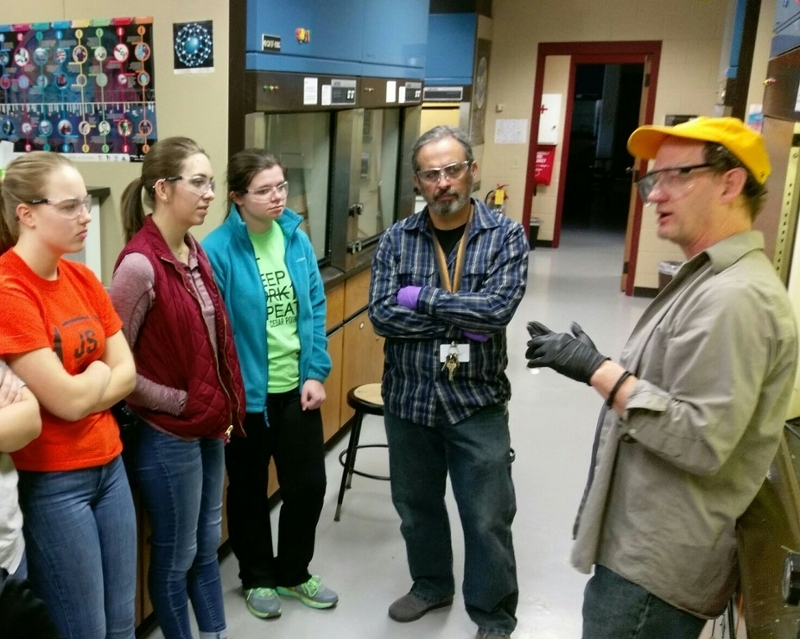 Chriss McDonald, the Frank and Helen Lowry Professor of Chemistry at Lycoming College, assisted the students in producing isoamyl acetate (banana oil) from simpler starting compounds, as well as having the students obtain infrared (IR) and nuclear magnetic resonance (NMR) spectra of their products. 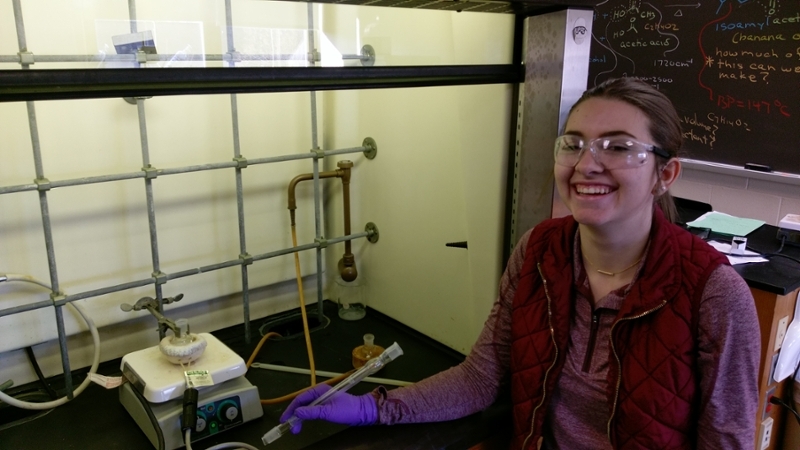 The Lycoming College chemistry program provides students with a foundational understanding of chemistry and valuable hands-on lab experience to prepare them for careers or graduate schools. 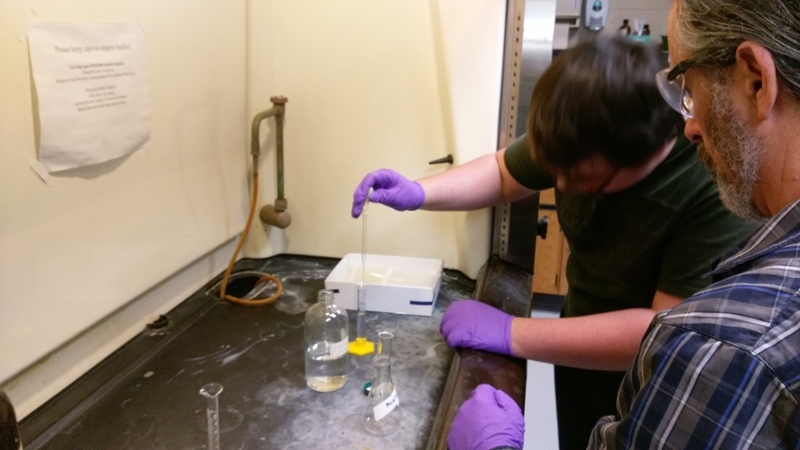 Students benefit from research and internship opportunities, modern facilities and instrumentation, experienced faculty, and a low student-to-faculty ratio.